“Devastating in its use of cold logic,” (The Independent), the classic essay collection that expresses the freethinker’s views to religion and challenges set notions in today’s society from one of the most influential intellectual figures of the twentieth century. Dedicated as few men have been to the life of reason, Bertrand Russell has always been concerned with the basic questions to which religion also addresses itself—questions about man’s place in the universe and the nature of the good life, questions that involve life after death, morality, freedom, education, and sexual ethics. He brings to his treatment of these questions the same courage, scrupulous logic, and lofty wisdom for which his other work as philosopher, writer, and teacher has been famous. These qualities make the essays included in this book perhaps the most graceful and moving presentation of the freethinker's position since the days of Hume and Voltaire. 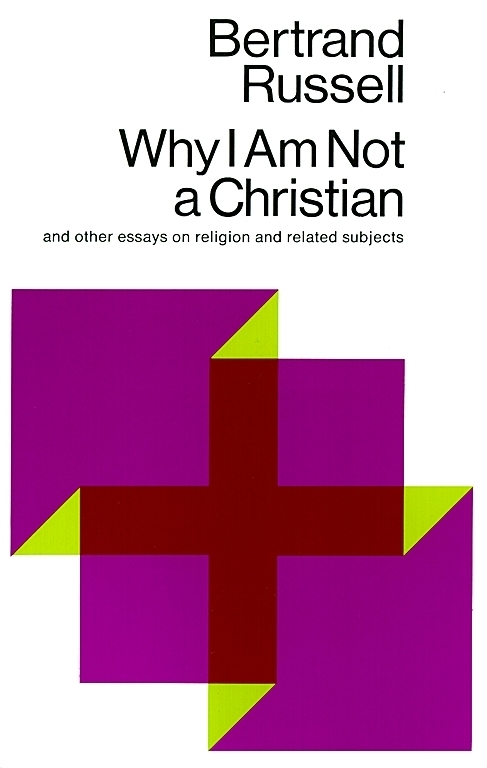 “I am as firmly convinced that religions do harm as I am that they are untrue,” Russell declares in his Preface, and his reasoned opposition to any system or dogma which he feels may shackle man’s mind runs through all the essays in this book, whether they were written as early as 1899 or as late as 1954. The book has been edited, with Lord Russell’s full approval and cooperation, by Professor Paul Edwards of the Philosophy Department of New York University. In an Appendix, Professor Edwards contributes a full account of the highly controversial “Bertrand Russell Case” of 1940, in which Russell was judicially declared “unfit” to teach philosophy at the College of the City of New York. Whether the reader shares or rejects Bertrand Russell’s views, he will find this book an invigorating challenge to set notions, a masterly statement of a philosophical position, and a pure joy to read. This lecture was delivered on March 6, 1927, at Battersea Town Hail under the auspices of the South London Branch of the National Secular Society. As your Chairman has told you, the subject about which I am going to speak to you tonight is "Why I Am Not a Christian." Perhaps it would be as well, first of all, to try to make out what one means by the word Christian. It is used these days in a very loose sense by a great many people. Some people mean no more by it than a person who attempts to live a good life. In that sense I suppose there would be Christians in all sects and creeds; but I do not think that that is the proper sense of the word, if only because it would imply that all the people who are not Christians -- all the Buddhists, Confucians, Mohammedans, and so on -- are not trying to live a good life. I do not mean by a Christian any person who tries to live decently according to his lights. I think that you must have a certain amount of definite belief before you have a right to call yourself a Christian. The word does not have quite such a full-blooded meaning now as it had in the times of St. Augustine and St. Thomas Aquinas. In those days, if a man said that he was a Christian it was known what he meant. You accepted a whole collection of creeds which were set out with great precision, and every single syllable of those creeds you believed with the whole strength of your convictions. Nowadays it is not quite that. We have to be a little more vague in our meaning of Christianity. I think, however, that there are two different items which are quite essential to anybody calling himself a Christian. The first is one of a dogmatic nature -- namely, that you must believe in God and immortality. If you do not believe in those two things, I do not think that you can properly call yourself a Christian. Then, further than that, as the name implies, you must have some kind of belief about Christ. The Mohammedans, for instance, also believe in God and in immortality, and yet they would not call themselves Christians. I think you must have at the very lowest the belief that Christ was, if not divine, at least the best and wisest of men. If you are not going to believe that much about Christ, I do not think you have any right to call yourself a Christian. Of course, there is another sense, which you find in Whitaker's Almanack and in geography books, where the population of the world is said to be divided into Christians, Mohammedans, Buddhists, fetish worshipers, and so on; and in that sense we are all Christians. The geography books count us all in, but that is a purely geographical sense, which I suppose we can ignore. Therefore I take it that when I tell you why I am not a Christian I have to tell you two different things: first, why I do not believe in God and in immortality; and, secondly, why I do not think that Christ was the best and wisest of men, although I grant him a very high degree of moral goodness. Perhaps the simplest and easiest to understand is the argument of the First Cause. (It is maintained that everything we see in this world has a cause, and as you go back in the chain of causes further and further you must come to a First Cause, and to that First Cause you give the name of God.) That argument, I suppose, does not carry very much weight nowadays, because, in the first place, cause is not quite what it used to be. The philosophers and the men of science have got going on cause, and it has not anything like the vitality it used to have; but, apart from that, you can see that the argument that there must be a First Cause is one that cannot have any validity. I may say that when I was a young man and was debating these questions very seriously in my mind, I for a long time accepted the argument of the First Cause, until one day, at the age of eighteen, I read John Stuart Mill's Autobiography, and I there found this sentence: "My father taught me that the question 'Who made me?' cannot be answered, since it immediately suggests the further question 'Who made God?'" That very simple sentence showed me, as I still think, the fallacy in the argument of the First Cause. If everything must have a cause, then God must have a cause. If there can be anything without a cause, it may just as well be the world as God, so that there cannot be any validity in that argument. It is exactly of the same nature as the Hindu's view, that the world rested upon an elephant and the elephant rested upon a tortoise; and when they said, "How about the tortoise?" the Indian said, "Suppose we change the subject." The argument is really no better than that. There is no reason why the world could not have come into being without a cause; nor, on the other hand, is there any reason why it should not have always existed. There is no reason to suppose that the world had a beginning at all. The idea that things must have a beginning is really due to the poverty of our imagination. Therefore, perhaps, I need not waste any more time upon the argument about the First Cause. Then there is a very common argument from natural law. That was a favorite argument all through the eighteenth century, especially under the influence of Sir Isaac Newton and his cosmogony. People observed the planets going around the sun according to the law of gravitation, and they thought that God had given a behest to these planets to move in that particular fashion, and that was why they did so. That was, of course, a convenient and simple explanation that saved them the trouble of looking any further for explanations of the law of gravitation. Nowadays we explain the law of gravitation in a somewhat complicated fashion that Einstein has introduced. I do not propose to give you a lecture on the law of gravitation, as interpreted by Einstein, because that again would take some time; at any rate, you no longer have the sort of natural law that you had in the Newtonian system, where, for some reason that nobody could understand, nature behaved in a uniform fashion. We now find that a great many things we thought were natural laws are really human conventions. You know that even in the remotest depths of stellar space there are still three feet to a yard. That is, no doubt, a very remarkable fact, but you would hardly call it a law of nature. And a great many things that have been regarded as laws of nature are of that kind. On the other hand, where you can get down to any knowledge of what atoms actually do, you will find they are much less subject to law than people thought, and that the laws at which you arrive are statistical averages of just the sort that would emerge from chance. There is, as we all know, a law that if you throw dice you will get double sixes only about once in thirty-six times, and we do not regard that as evidence that the fall of the dice is regulated by design; on the contrary, if the double sixes came every time we should think that there was design. The laws of nature are of that sort as regards a great many of them. They are statistical averages such as would emerge from the laws of chance; and that makes this whole business of natural law much less impressive than k formerly was. Quite apart from that, which represents the momentary state of science that may change tomorrow, the whole idea that natural laws imply a lawgiver is due to a confusion between natural and human laws. Human laws are behests commanding you to behave a certain way, in which way you may choose to behave, or you may choose not to behave; but natural laws are a description of how things do in fact behave, and being a mere description of what they in fact do, you cannot argue that there must be somebody who told them to do that, because even supposing that there were, you are then faced with the question "Why did God issue just those natural laws and no others?" If you say that he did it simply from his own good pleasure, and without any reason, you then find that there is something which is not subject to law, and so your train of natural law is interrupted. If you say, as more orthodox theologians do, that in all the laws which God issues he had a reason for giving those laws rather than others -- the reason, of course, being to create the best universe, although you would never think it to look at it -- if there were a reason for the laws which God gave, then God himself was subject to law, and therefore you do not get any advantage by introducing God as an intermediary. You have really a law outside and anterior to the divine edicts, and God does not serve your purpose, because he is not the ultimate lawgiver. In short, this whole argument about natural law no longer has anything like the strength that it used to have. I am traveling on in time in my review of the arguments. The arguments that are used for the existence of God change their character as time goes on. They were at first hard intellectual arguments embodying certain quite definite fallacies. As we come to modern times they become less respectable intellectually and more and more affected by a kind of moralizing vagueness. The next step in this process brings us to the argument from design. You all know the argument from design: everything in the world is made just so that we can manage to live in the world, and if the world was ever so little different, we could not manage to live in it. That is the argument from design. It sometimes takes a rather curious form; for instance, it is argued that rabbits have white tails in order to be easy to shoot. I do not know how rabbits would view that application. It is an easy argument to parody. You all know Voltaire's remark, that obviously the nose was designed to be such as to fit spectacles. That sort of parody has turned out to be not nearly so wide of the mark as it might have seemed in the eighteenth century, because since the time of Darwin we understand much better why living creatures are adapted to their environment. It is not that their environment was made to be suitable to them but that they grew to be suitable to it, and that is the basis of adaptation. There is no evidence of design about it. When you come to look into this argument from design, it is a most astonishing thing that people can believe that this world, with all the things that are in it, with all its defects, should be the best that omnipotence and omniscience have been able to produce in millions of years. I really cannot believe it. Do you think that, if you were granted omnipotence and omniscience and millions of years in which to perfect your world, you could produce nothing better than the Ku Klux Klan or the Fascists? Moreover, if you accept the ordinary laws of science, you have to suppose that human life and life in general on this planet will die out in due course: it is a stage in the decay of the solar system; at a certain stage of decay you get the sort of conditions of temperature and so forth which are suitable to protoplasm, and there is life for a short time in the life of the whole solar system. You see in the moon the sort of thing to which the earth is tending -- something dead, cold, and lifeless. I am told that that sort of view is depressing, and people will sometimes tell you that if they believed that, they would not be able to go on living. Do not believe it; it is all nonsense. Nobody really worries much about what is going to happen millions of years hence. Even if they think they are worrying much about that, they are really deceiving themselves. They are worried about something much more mundane, or it may merely be a bad digestion; but nobody is really seriously rendered unhappy by the thought of something that is going to happen to this world millions and millions of years hence. Therefore, although it is of course a gloomy view to suppose that life will die out -- at least I suppose we may say so, although sometimes when I contemplate the things that people do with their lives I think it is almost a consolation it is not such as to render life miserable. It merely makes you turn your attention to other things. Now we reach one stage further in what I shall call the intellectual descent that the Theists have made in their argumentations, and we come to what are called the moral arguments for the existence of God. You all know, of course, that there used to be in the old clays three intellectual arguments for the existence of God, all of which were disposed of by Immanuel Kant in the Critique of Pure Reason; but no sooner had he disposed of those arguments than he invented a new one, a moral argument, and that quite convinced him. He was like many people: in intellectual matters he was skeptical, but in moral matters he believed implicitly in the maxims that he had imbibed at his mother's knee. That illustrates what the psychoanalysts so much emphasize -- the immensely stronger hold upon us that our very early associations have than those of later times. Kant, as I say, invented a new moral argument for the existence of God, and that in varying forms was extremely popular during the nineteenth century. It has all sorts of forms. One form is to say that there would be no right or wrong unless God existed. I am not for the moment concerned with whether there is a difference between right and wrong, or whether there is not: that is another question. The point I am concerned with is that, if you are quite sure there is a difference between right and wrong, you are then in this situation: Is that difference due to God's fiat or is it not? If it is due to God's fiat, then for God himself there is no difference between right and wrong, and it is no longer a significant statement to say that God is good. If you are going to say, as theologians do, that God is good, you must then say that right and wrong have some meaning which is independent of God's fiat, because God's fiats are good and not bad independently of the mere fact that he made them. If you are going to say that, you will then have to say that it is not only through God that right and wrong came into being, but that they are in their essence logically anterior to God. You could, of course, if you liked, say that there was a superior deity who gave orders to the God who made this world, or could take up the line that some of the gnostics took up -- a line which I often thought was a very plausible one -- that as a matter of fact this world that we know was made by the devil at a moment when God was not looking. There is a good deal to be said for that, and I am not concerned to refute it. Then there is another very curious form of moral argument, which is this: they say that the existence of God is required in order to bring justice into the world. In the part of this universe that we know there is great injustice, and often the good suffer, and often the wicked prosper, and one hardly knows which of those is the more annoying; but if you are going to have justice in the universe as a whole you have to suppose a future life to redress the balance of life here on earth. So they say that there must be a God, and there must be heaven and hell in order that in the long run there may be justice. That is a very curious argument. If you looked at the matter from a scientific point of view, you would say, "After all, I know only this world. I do not know about the rest of the universe, but so far as one can argue at all on probabilities one would say that probably this world is a fair sample, and if there is injustice here the odds are that there is injustice elsewhere also." Supposing you got a crate of oranges that you opened, and you found all the top layer of oranges bad, you would not argue, "The underneath ones must be good, so as to redress the balance." You would say, "Probably the whole lot is a bad consignment"; and that is really what a scientific person would argue about the universe. He would say, "Here we find in this world a great deal of injustice, and so far as that goes that is a reason for supposing that justice does not rule in the world; and therefore so far as it goes it affords a moral argument against deity and not in favor of one." Of course I know that the sort of intellectual arguments that I have been talking to you about are not what really moves people. What really moves people to believe in God is not any intellectual argument at all. Most people believe in God because they have been taught from early infancy to do it, and that is the main reason. Then I think that the next most powerful reason is the wish for safety, a sort of feeling that there is a big brother who will look after you. That plays a very profound part in influencing people's desire for a belief in God. I now want to say a few words upon a topic which I often think is not quite sufficiently dealt with by Rationalists, and that is the question whether Christ was the best and the wisest of men. It is generally taken for granted that we should all agree that that was so. I do not myself. I think that there are a good many points upon which I agree with Christ a great deal more than the professing Christians do. I do not know that I could go with Him all the way, but I could go with Him much further than most professing Christians can. You will remember that He said, "Resist not evil: but whosoever shall smite thee on thy right cheek, turn to him the other also." That is not a new precept or a new principle. It was used by Lao-tse and Buddha some 500 or 600 years before Christ, but it is not a principle which as a matter of fact Christians accept. I have no doubt that the present Prime Minister, for instance, is a most sincere Christian, but I should not advise any of you to go and smite him on one cheek. I think you might find that he thought this text was intended in a figurative sense. Then there is another point which I consider excellent. You will remember that Christ said, "Judge not lest ye be judged." That principle I do not think you would find was popular in the law courts of Christian countries. I have known in my time quite a number of judges who were very earnest Christians, and none of them felt that they were acting contrary to Christian principles in what they did. Then Christ says, "Give to him that asketh of thee, and from him that would borrow of thee turn not thou away." That is a very good principle. Your Chairman has reminded you that we are not here to talk politics, but I cannot help observing that the last general election was fought on the question of how desirable it was to turn away from him that would borrow of thee, so that one must assume that the Liberals and Conservatives of this country are composed of people who do not agree with the teaching of Christ, because they certainly did very emphatically turn away on that occasion. Then there is one other maxim of Christ which I think has a great deal in it, but I do not find that it is very popular among some of our Christian friends. He says, "If thou wilt be perfect, go and sell that which thou hast, and give to the poor." That is a very excellent maxim, but, as I say, it is not much practiced. All these, I think, are good maxims, although they are a little difficult to live up to. I do not profess to live up to them myself; but then, after all, it is not quite the same thing as for a Christian. Having granted the excellence of these maxims, I come to certain points in which I do not believe that one can grant either the superlative wisdom or the superlative goodness of Christ as depicted in the Gospels; and here I may say that one is not concerned with the historical question. Historically it is quite doubtful whether Christ ever existed at all, and if He did we do not know anything about Him, so that I am not concerned with the historical question, which is a very difficult one. I am concerned with Christ as He appears in the Gospels, taking the Gospel narrative as it stands, and there one does find some things that do not seem to be very wise. For one thing, He certainly thought that His second coming would occur in clouds of glory before the death of all the people who were living at that time. There are a great many texts that prove that. He says, for instance, "Ye shall not have gone over the cities of Israel till the Son of Man be come." Then He says, "There are some standing here which shall not taste death till the Son of Man comes into His kingdom"; and there are a lot of places where it is quite clear that He believed that His Second coming would happen during the lifetime of many then living. That was the belief of His earlier followers, and it was the basis of a good deal of His moral teaching. When He said, "Take no thought for the morrow," and things of that sort, it was very largely because He thought that the second coming was going to be very soon, and that all ordinary mundane affairs did not count. I have, as a matter of fact, known some Christians who did believe that the second coming was imminent. I knew a parson who frightened his congregation terribly by telling them that the second coming was very imminent indeed, but they were much consoled when they found that he was planting trees in his garden. The early Christians did really believe it, and they did abstain from such things as planting trees in their gardens, because they did accept from Christ the belief that the second coming was imminent. In that respect, clearly He was not so wise as some other people have been, and He was certainly not superlatively wise. Then you come to moral questions. There is one very serious defect to my mind in Christ's moral character, and that is that He believed in hell. I do not myself feel that any person who is really profoundly humane can believe in everlasting punishment. Christ certainly as depicted in the Gospels did believe in everlasting punishment, and one does find repeatedly a vindictive fury against those people who would not listen to His preaching -- an attitude which is not uncommon with preachers, but which does somewhat detract from superlative excellence. You do not, for instance find that attitude in Socrates. You find him quite bland and urbane toward the people who would not listen to him; and it is, to my mind, far more worthy of a sage to take that line than to take the line of indignation. You probably all remember the sort of things that Socrates was saying when he was dying, and the sort of things that he generally did say to people who did not agree with him. You will find that in the Gospels Christ said, "Ye serpents, ye generation of vipers, how can ye escape the damnation of hell." That was said to people who did not like His preaching. It is not really to my mind quite the best tone, and there are a great many of these things about hell. There is, of course, the familiar text about the sin against the Holy Ghost: "Whosoever speaketh against the Holy Ghost it shall not be forgiven him neither in this World nor in the world to come." That text has caused an unspeakable amount of misery in the world, for all sorts of people have imagined that they have committed the sin against the Holy Ghost, and thought that it would not be forgiven them either in this world or in the world to come. I really do not think that a person with a proper degree of kindliness in his nature would have put fears and terrors of that sort into the world. Then Christ says, "The Son of Man shall send forth His angels, and they shall gather out of His kingdom all things that offend, and them which do iniquity, and shall cast them into a furnace of fire; there shall be wailing and gnashing of teeth"; and He goes on about the wailing and gnashing of teeth. It comes in one verse after another, and it is quite manifest to the reader that there is a certain pleasure in contemplating wailing and gnashing of teeth, or else it would not occur so often. Then you all, of course, remember about the sheep and the goats; how at the second coming He is going to divide the sheep from the goats, and He is going to say to the goats, "Depart from me, ye cursed, into everlasting fire." He continues, "And these shall go away into everlasting fire." Then He says again, "If thy hand offend thee, cut it off; it is better for thee to enter into life maimed, than having two hands to go into hell, into the fire that never shall be quenched; where the worm dieth not and the fire is not quenched." He repeats that again and again also. I must say that I think all this doctrine, that hell-fire is a punishment for sin, is a doctrine of cruelty. It is a doctrine that put cruelty into the world and gave the world generations of cruel torture; and the Christ of the Gospels, if you could take Him as His chroniclers represent Him, would certainly have to be considered partly responsible for that. There are other things of less importance. There is the instance of the Gadarene swine, where it certainly was not very kind to the pigs to put the devils into them and make them rush clown the hill to the sea. You must remember that He was omnipotent, and He could have made the devils simply go away; but He chose to send them into the pigs. Then there is the curious story of the fig tree, which always rather puzzled me. You remember what happened about the fig tree. "He was hungry; and seeing a fig tree afar off having leaves, He came if haply He might find anything thereon; and when He came to it He found nothing but leaves, for the time of figs was not yet. And Jesus answered and said unto it: 'No man eat fruit of thee hereafter for ever'...and Peter...saith unto Him: 'Master, behold the fig tree which thou cursedst is withered away.'" This is a very curious story, because k was not the right time of year for figs, and you really could not blame the tree. I cannot myself feel that either in the matter of wisdom or in the matter of virtue Christ stands quite as high as some other people known to history. I think I should put Buddha and Socrates above Him in those respects. As I said before, I do not think that the real reason why people accept religion has anything to do with argumentation. They accept religion on emotional grounds. One is often told that it is a very wrong thing to attack religion, because religion makes men virtuous. So I am told; I have not noticed it. You know, of course, the parody of that argument in Samuel Butler's book, Erewhon Revisited. You will remember that in Erewhon there is a certain Higgs who arrives in a remote country, and after spending some time there he escapes from that country in a balloon. Twenty years later he comes back to that country and finds a new religion in which he is worshiped under the name of the "Sun Child," and it is said that he ascended into heaven. He finds that the Feast of the Ascension is about to be celebrated, and he hears Professors Hanky and Panky say to each other that they never set eyes on the man Higgs, and they hope they never will; but they are the high priests of the religion of the Sun Child. He is very indignant, and he comes up to them, and he says, "I am going to expose all this humbug and tell the people of Erewhon that it was only I, the man Higgs, and I went up in a balloon." He was told, "You must not do that, because all the morals of this country are bound round this myth, and if they once know that you did not ascend into heaven they will all become wicked"; and so he is persuaded of that and he goes quietly away. That is the idea -- that we should all be wicked if we did not hold to the Christian religion. It seems to me that the people who have held to it have been for the most part extremely wicked. You find this curious fact, that the more intense has been the religion of any period and the more profound has been the dogmatic belief, the greater has been the cruelty and the worse has been the state of affairs. In the so-called ages of faith, when men really did believe the Christian religion in all its completeness, there was the Inquisition, with its tortures; there were millions of unfortunate women burned as witches; and there was every kind of cruelty practiced upon all sorts of people in the name of religion. You find as you look around the world that every single bit of progress in humane feeling, every improvement in the criminal law, every step toward the diminution of war, every step toward better treatment of the colored races, or every mitigation of slavery, every moral progress that there has been in the world, has been consistently opposed by the organized churches of the world. I say quite deliberately that the Christian religion, as organized in its churches, has been and still is the principal enemy of moral progress in the world. You may think that I am going too far when I say that that is still so. I do not think that I am. Take one fact. You will bear with me if I mention it. It is not a pleasant fact, but the churches compel one to mention facts that are not pleasant. Supposing that in this world that we live in today an inexperienced girl is married to a syphilitic man; in that case the Catholic Church says, "This is an indissoluble sacrament. You must endure celibacy or stay together. And if you stay together, you must not use birth control to prevent the birth of syphilitic children." Nobody whose natural sympathies have not been warped by dogma, or whose moral nature was not absolutely dead to all sense of suffering, could maintain that it is right and proper that that state of things should continue. That is only an example. There are a great many ways in which, at the present moment, the church, by its insistence upon what k chooses to call morality, inflicts upon all sorts of people undeserved and unnecessary suffering. And of course, as we know, k is in its major part an opponent still of progress and of improvement in all the ways that diminish suffering in the world, because it has chosen to label as morality a certain narrow set of rules of conduct which have nothing to do with human happiness; and when you say that this or that ought to be done because it would make for human happiness, they think that has nothing to do with the matter at all. "What has human happiness to do with morals? The object of morals is not to make people happy." Religion is based, I think, primarily and mainly upon fear. It is partly the terror of the unknown and partly, as I have said, the wish to feel that you have a kind of elder brother who will stand by you in all your troubles and disputes. Fear is the basis of the whole thing -- fear of the mysterious, fear of defeat, fear of death. Fear is the parent of cruelty, and therefore it is no wonder if cruelty and religion have gone hand in hand. It is because fear is at the basis of those two things. In this world we can now begin a little to understand things, and a little to master them by help of science, which has forced its way step by step against the Christian religion, against the churches, and against the opposition of all the old precepts. Science can help us to get over this craven fear in which mankind has lived for so many generations. Science can teach us, and I think our own hearts can teach us, no longer to look around for imaginary supports, no longer to invent allies in the sky, but rather to look to our own efforts here below to make this world a fit place to live in, instead of the sort of place that the churches in all these centuries have made it. We want to stand upon our own feet and look fair and square at the world -- its good facts, its bad facts, its beauties, and its ugliness; see the world as it is and be not afraid of it. Conquer the world by intelligence and not merely by being slavishly subdued by the terror that comes from it. The whole conception of God is a conception derived from the ancient Oriental despotisms. It is a conception quite unworthy of free men. When you hear people in church debasing themselves and saying that they are miserable sinners, and all the rest of it, it seems contemptible and not worthy of self-respecting human beings. We ought to stand up and look the world frankly in the face. We ought to make the best we can of the world, and if it is not so good as we wish, after all it will still be better than what these others have made of it in all these ages. A good world needs knowledge, kindliness, and courage; it does not need a regretful hankering after the past or a fettering of the free intelligence by the words uttered long ago by ignorant men. It needs a fearless outlook and a free intelligence. It needs hope for the future, not looking back all the time toward a past that is dead, which we trust will be far surpassed by the future that our intelligence can create. Copyright &copy; 1957 by George Allen &amp; Unwin Ltd.